“Inception” is a movie that other movies should aspire to be like. Inventive. Challenging. Mind-bending. Fun. Suspenseful. Every catch phrase from every commercial could be used to describe this movie and you’ll still walk in unprepared. Watching “Inception” is like watching masterful director in the prime of his time. The movie is a mind twisting combination of smart screenplay writing and special effects. If the late Stanley Kubrick were alive and could make a science fiction drama, I have no doubt this is what it would look like. 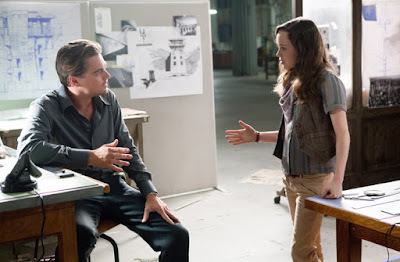 Instead the movie is directed by Christopher Nolan, and the film would have made him a star if he hadn’t already directed the equally impressive “The Dark Knight” two years prior. The story: A man by the name of Dominic “Dom” Cobb (Academy Award-nominee Leonardo DiCaprio) is a man with an unusual job: Entering dreams and stealing information. He is the best at what he does but he’s troubled because he’s a fugitive from his home land America, and lives in Japan while his kids wonder when he’ll be home. He wants to go home and strike a deal with a Japanese business man named Saito (Academy Award-nominee Ken Watanabe) who comes up with a radical idea: If you can enter dreams to steal information why not go into dreams and plant ideas instead? Though it can be done people have to go into the subconscious level of the person who needs the idea planted. 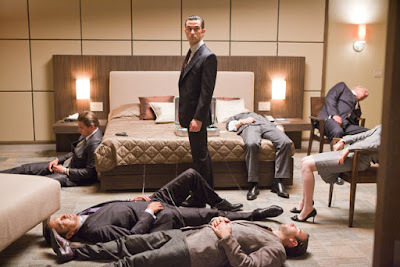 Once there they need to put the person in the dream into a dream within a dream, and then a dream within a dream, within a dream...it all sounds very complicated but to the films credit this mess of a setup never gets confusing, and the audience always knows what’s what and who’s who. So the setup is unique if nothing else. This is a great start for a movie that has been released in a year where the summer blockbusters are dumber then Brittany Spears. The actors are all universally good and most of them have awards to their names. Marion Cotillard and Michael Caine have both won Oscars. 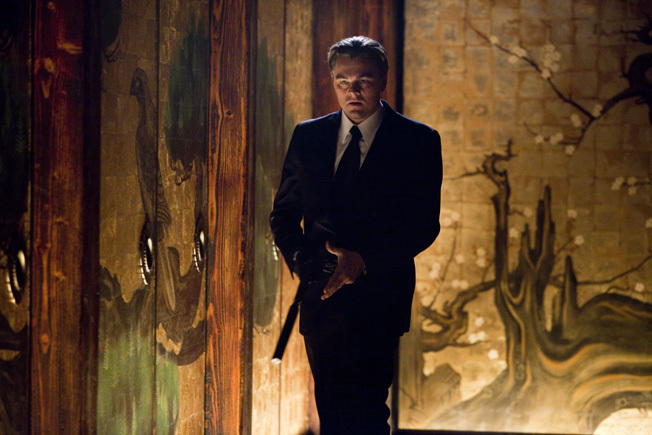 Leonardo DiCaprio, Ellen Page, Tom Berenger, and Ken Watanabe are all nominees. 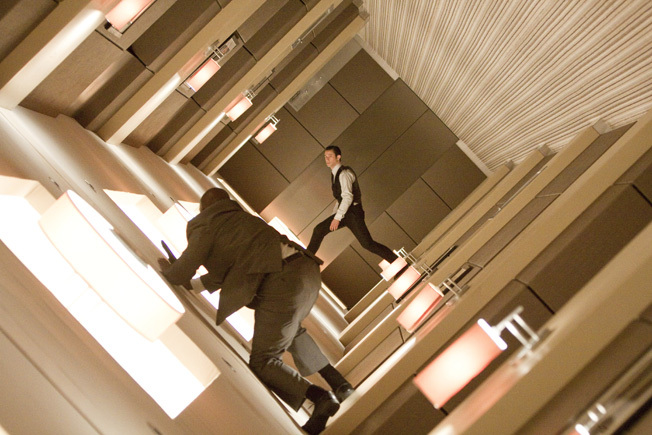 The scene involves two characters fighting over a gun while the hotel room spins around them and they float through the sky defying gravity. I’m not sure how it was done, but it was exhilarating to watch. 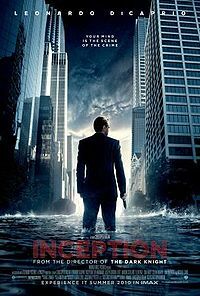 Though it may premature to say this I strongly feel that “Inception” is an instant classic. There is nothing about this film that doesn’t work and it defies all logic and convention. For all intents and purposes the film should not come together as well as it does considering how multilayered it all is (with layers on top of layers, on top of layers, on top of...). Yet Christopher Nolan and the cast he hand-picked put their all into it to create a movie experience unlike any I’ve ever seen. This is one of the best films of the year. Parents, there is some mild language and heavy violence. Recommended for ages 14 and up.